If you are ever thinking of ‘growing your own’ vegetables and fruit, and then using the produce in your own kitchen, the books of Sarah Raven are the ones that I have found invaluable. Nowadays more and more families are interested in ‘Grow Your Own’ by turning part of their garden into a productive Kitchen Garden, or taking on an allotment, and do it for a variety of reasons. 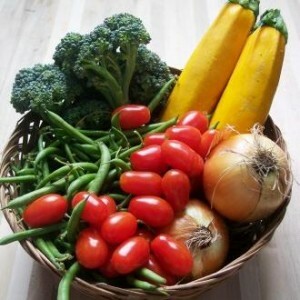 It is a brilliant way to eke out the family budget by growing your own, and if all the family work together, it is amazing how children will try a taste of a vegetable they have had a hand in growing. (When our 12 year-old grandson, Jay, comes to visit, his favourite pastime is picking our beans, peas or carrots and eating them raw – also 2 year-old Emmie, who we found stuffing herself with mange-tout and strawberries! That’s one for Heston to work on!) But back to Sarah Raven. Who is Sarah Raven, you may ask? She is the attractive young woman who suddenly appeared on BBC’s Gardeners World, in amongst the die hard male gardeners, was very knowledgeable about flowers, had grubby fingernails like me and gardened in (heavens above!!) a skirt and welly boots. She stood out like a (decorative) sore thumb, and has gone on from strength to strength. Sarah has been my ‘mentor’, and her book, “The Great Vegetable Plot” has been my guide, from the first spark of an idea about creating our Kitchen Garden, through to now, 3 years later, and has taught me to enjoy my ‘Grow Your Own’ experience. This book, and Sarah’s seed catalogues, have opened my eyes to the pleasure of many different types of salad leaves and tender vegetables being eaten simply with just a drizzle of good oil, with lemon juice or balsamic vinegar. To be honest, I never realised that there were hundreds of fresh green leaves and herbs that could be used this way. I now throw fresh, young Lovage leaves, Beetroot tops, Radish tops, Mizuna, Parsley, Chives, Pea shoots etc in with a few snips from the different lettuces that I grow. There is so much useful information in The Great Vegetable Plot, beginning with Sarah’s advice on the three ‘distinct’ groups of vegetables she like to grow. The first group is what she calls the ‘fresh as a daisy veg’ – those that are eaten very soon after picking to get the most of the unbelievable flavour. Included in this group are tender asparagus, sweetcorn, so sweet tomatoes, sweet crunchy baby carrots, peas (so sweet they often don’t make it to the plate) and waxy new potatoes. The second group is ‘the unbuyables’ which are the more unusual vegetables, herbs or edible flowers that are unavailable in the shops, or not of a good quality. Sarah’s seed catalogues are themselves a pleasure to read, and I have discovered masses of salad vegetables and herbs to grow that I had never heard of before. 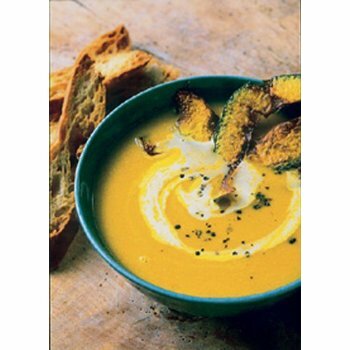 This ‘unbuyables’ group included borlotti beans, violet artichokes, sweet green garlic, chillis from gentle to fiery, or grow-your-own sweet leafy pea tips, unusual beetroots and edible flowers, such as violets, nasturtiums and borage, which can turn an average plate of family food into a work of art. The final group is called Sarah’s ‘desert island plants’. 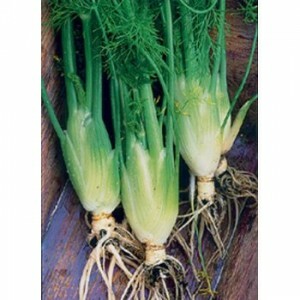 These are the plants that are in most Kitchen Gardens or allotments. The ones that don’t take too much looking after. Courgettes, Cut and come again Salads, the more general herbs, Kales (the dark green of Cavolo Nero or the purple-red of Redbor), and Chard, ‘White Silver’ being Sarah’s favourite for cooking (favourite recipe for Chard Gratin coming soon). There are chapters on ‘Grow What You Eat’, with a wise note that it takes some practice to stop the amount of produce varying from ‘feast to famine’, either not enough or a mountainous glut of food your family isn’t too keen on. ‘How to sow and grow’ is a brilliant chapter about preparing your garden by improving your soil, sowing outside, sowing inside and sowing in pots, and ‘Designing your garden’ is the chapter explaining how Sarah believes that growing vegetables can not only be productive but can be beautiful as well. There is a vast A – Z of vegetables, containing everything you will ever need to know about sowing, thinning out, growing requirements and harvesting. It even includes the US hardiness zones for each plant. The Great Vegetable Plot finishes off with an informative yearly ‘Calendar of Jobs’. Throughout the hint and tips in the book, it’s as if Sarah can’t help throwing in the odd recipe, here and there, even though it is not a cookbook. More about these soon. But it is an incredibly useful book, with superb photographs by award-winning photographer, Jonathan Buckley. 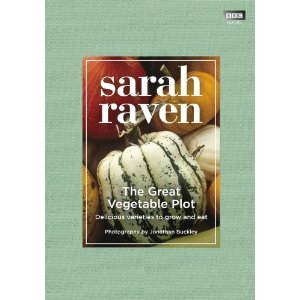 To buy The Great British Vegetable Plot by Sarah Raven, click here.